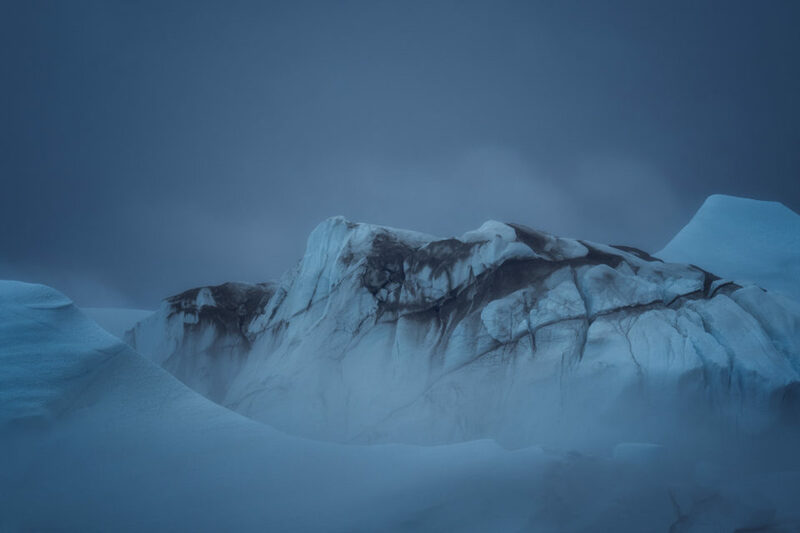 Landscape photography is one of the best ways to disconnect from the otherwise hectic day-to-day life and to just enjoy spending time in the great outdoors. 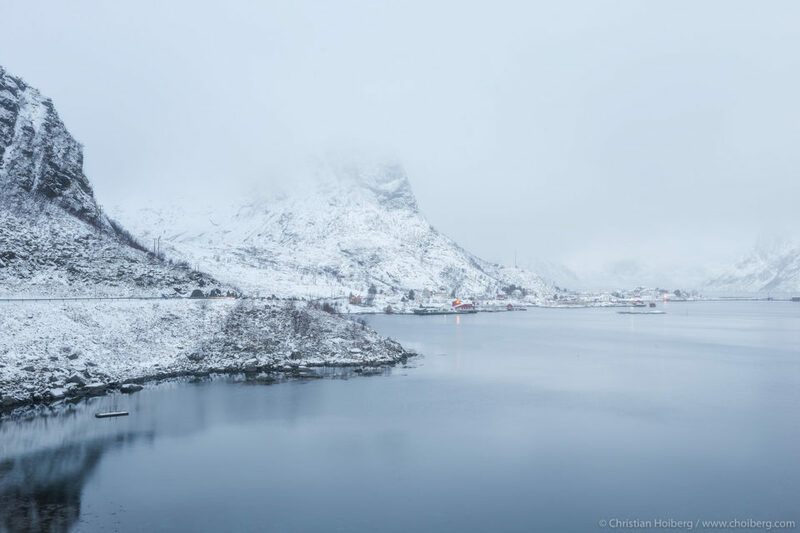 For some, landscape photography involves hours or even days of traveling while others seek the beauty right outside their front door. Some dream of becoming a full-time professional, while others want nothing more than a hobby. Regardless of your ambitions, the steps of improving your landscape photography are the same and we all need to go through the same process. 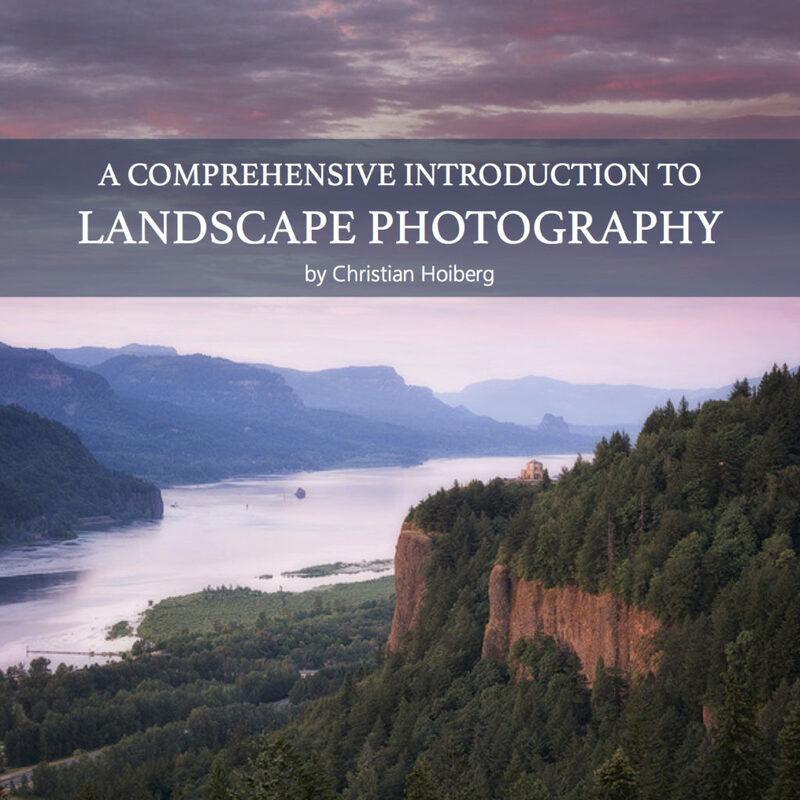 In this comprehensive guide, you’ll be introduced to the essentials of landscape photography beginning with the basic camera settings, the equipment you should have, compositional guidelines that will improve your photography, applying the best settings in the field and the softwares used for post-processing. 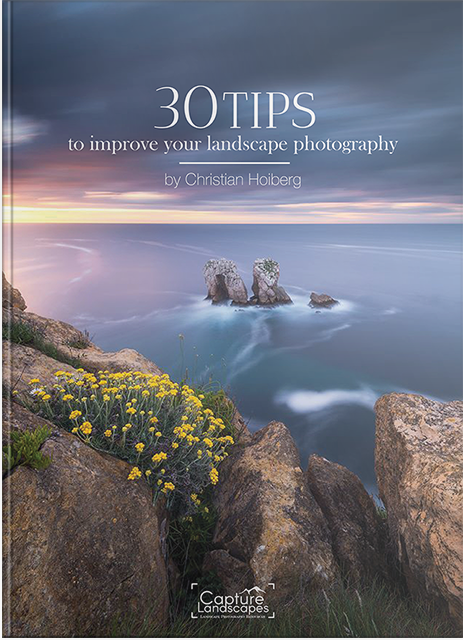 By the end of this in-depth landscape photography guide, you’ll hopefully be left with a better understanding of how you can sharpen your skills and capture better images. 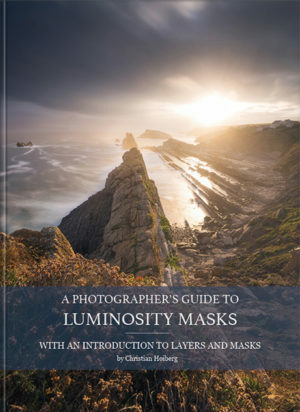 The guide is written for those who are just getting started with photography but it covers several topics that are important for those who have some prior experience with photography as well. Even though we all want to produce images that impress as soon as we purchase our first camera, reality isn’t quite like that. 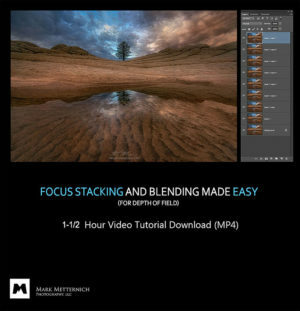 If you really wish to improve your craft and become a better landscape photographer, you’ll need to start by learning the fundamentals even though it might not sound as fun as the most extreme post-processing techniques. Yes, you can turn a dull image into something eye-catching by heavily manipulating it in post-processing but, most likely, the image won’t be as technically good and have the same appeal as it would if better settings were applied. That’s often what separates the skilled photographer from the beginner. It’s just like building a house: you don’t start by building the roof, you need to first set the foundation. In landscape photography (and photography in general), this means learning the basic camera settings and understanding how they impact each other. By understanding them, the quality of your images will show great improvement and you’ll already be one step ahead. 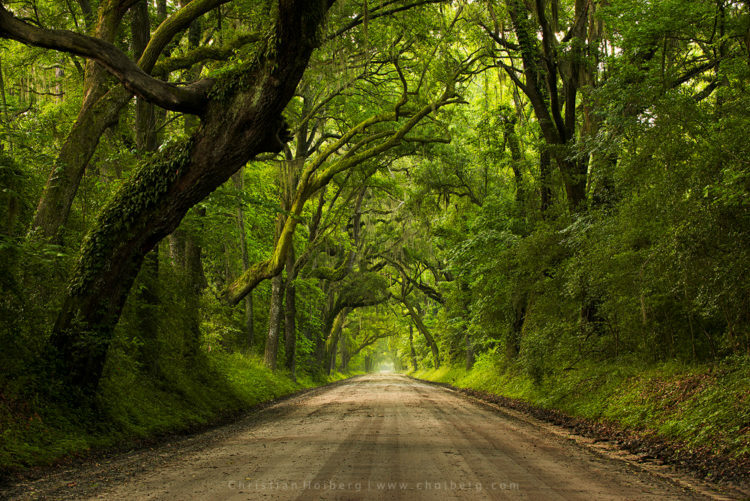 The three basic settings (the pillars of landscape photography) are the ISO, Shutter Speed and Aperture. 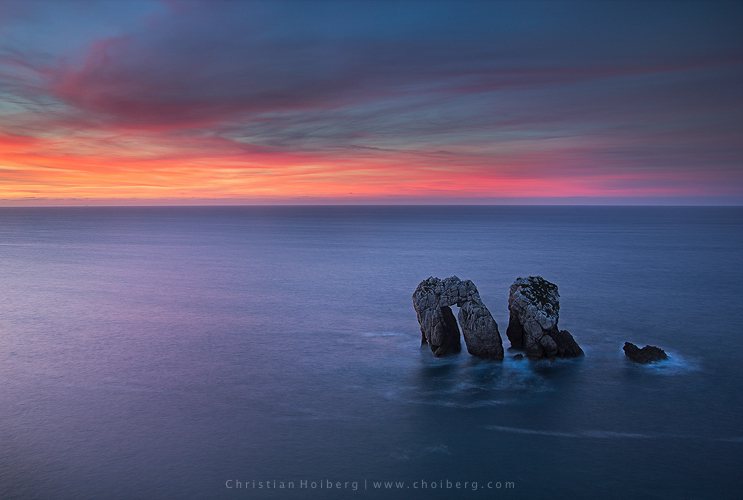 Light is an incredibly important factor in landscape photography, in fact, it’s the most important. Without light, there’s no image. The ISO describes the camera’s sensitivity to available light. The higher the ISO is (a higher number), the more sensitive the camera is, and vice versa. When you’re using a low ISO (such as 100-200) the camera is less sensitive to available light which means it needs a longer time to give a correctly exposed (a bright enough) image. Using a higher ISO (such as 3200) means that the camera is more sensitive to available light and it needs a shorter time to correctly expose an image. Typically, a high ISO is used when you need a quick shutter speed to capture a moving subject. For landscape photography, it’s often recommended to stick to the base ISO (for most cameras this is between 100 and 200). When using a high ISO you’ll notice that a lot of noise is added to the images. For budget cameras, this noise can be introduced already at a relatively low ISO such as 400 while the top-end cameras can produce images with low noise up until ISO1200 or even higher. ISO and its impact on your image are explained further in-depth in Introduction to ISO in Digital Photography. Aperture is the second pillar in landscape photography. It’s also the most confusing for many, which is understandable. The aperture has a great impact on the image and besides affecting the brightness of an image, it also affects the Depth of Field. Aperture is commonly referred to as f/stops and put simply, it describes the size of the “hole” that lets light through your lens. Now, this is where it becomes slightly contradictory and confusing for most: a large opening is achieved by using a low number (such as f/2.8) and a narrow opening is achieved by using a larger number (such as f/22). By using a low f/stop (a large opening), the correct amount of light reaches the camera’s sensor within a shorter time (allowing you to shorten the shutter speed and lower the ISO). As mentioned, the aperture also impacts the Depth of Field. By using an open aperture such as f/2.8, less of the image will be in focus but the parts that are in focus will be very sharp. Typically, such an aperture is used when photographing flowers to blur the background or during night photography when we need more light. A narrow aperture such as f/22, on the other hand, keeps the entire scene in focus but it’s less sharp than with a larger aperture such as f/7.1 or f/11. The third and final fundamental setting in landscape photography is the shutter speed. This is also the setting that will have the greatest visual impact on an image. To capture an image, the camera’s sensor is exposed to the light that is let through the lens aperture during a certain period of time. This is when the shutter opens and closes and it’s determined by the shutter speed. A slow shutter speed (such as 1 second) will capture motion and blur movement but it also requires the use of a tripod or a stable surface. Since the camera is registering movement as long as the shutter is open, it will also register camera shake and movement made by the photographer. Quite opposite, a quicker shutter speed (such as 1/500s) will freeze motion and you’re able to capture quickly moving subjects without blurring the image. Images captured with a quick shutter speed don’t require a tripod as the duration the shutter is open is so short. There’s no correct shutter speed in landscape photography and there are no recommended values either. Each scene can benefit from a different shutter speed so trial and error is the best way to familiarize yourself with it. After a while, you’ll be able to easily understand how adjusting it will affect an image. The part where many beginners struggle is when trying to understand how these settings are connected. If you make an adjustment to the shutter speed, you’ll also need to adjust the ISO, aperture or both! Don’t be intimidated though, it might be a confusing process to understand (believe me, I’ve been there!) but it won’t take long until you realize just how logical it is. To correctly expose an image, you need to let the correct amount of light reach the sensor. As you might have picked up now, all three of the fundamental settings have an impact on this; aperture allows more or less light to enter through the “hole”, ISO adjusts the light sensitivity and the shutter speed determines how long the camera sensor is exposed to light. By adjusting only one of these settings the image will quickly become either underexposed (too dark) or overexposed (too bright). Now, unfortunately, it’s not as easy as simply adjusting whichever setting you want. Yes, you can do this and the exposure will look OK but it will also affect the quality of your image. For standard landscape photography, there are two settings which we want to keep fixed: Aperture and ISO. Aim at keeping the ISO as low as possible and the aperture somewhere between f/7.1 and f/13. The shutter speed, however, is better to adjust as it doesn’t impact the overall technical quality of the image. However, using a longer exposure also requires the use of a tripod, otherwise, you won’t be able to avoid camera shake. That being said, each scenario is different and you’ll soon realize that there will be times where you need to use a higher ISO and sacrifice some image quality in order to achieve the image you want. Other times, you want to work with a greater depth of field and to do so you’ll need to open the aperture to something like f/2.8 – this means that you’ll need to use a quicker shutter speed and lowest possible ISO, given that you’re photographing in standard daylight. I sincerely believe that the price of your equipment does not reflect upon your skills as a photographer. It’s too often that I see people running around with cameras worth $5000 + using Automatic mode. There’s nothing wrong with using Automatic mode as a beginner (though I urge you to rather use a semi-automatic mode before going full manual as this will give you a much better understanding of how the fundamentals work) but why have the best and most expensive equipment when you don’t know how to use it? The truth is that the difference between a $500 DSLR and a $5000 DSLR aren’t that crucial in the beginning. Start by first learning how to use a camera and then, when you actually need to upgrade due to the camera’s limitations, consider investing in a high-end DSLR. A tripod is one of the most important equipment of a landscape photographer, besides his own creativity and, of course, camera. Unlike other genres of photography, landscape photographers will more commonly work with slower shutter speeds. A tripod is absolutely essential to achieve a sharp image when doing so. Using a tripod allows you to be more flexible when working with shutter speeds and the other settings, which leads to you being able to capture images you otherwise wouldn’t. 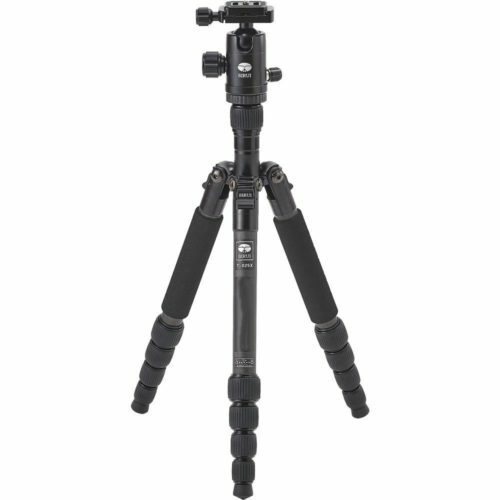 Unlike with the camera, I recommend purchasing a high-quality tripod right from the beginning. You don’t need to choose the most expensive one but avoid the cheapest models found at most electronic stores. Cheap tripods tend to break easily and you’ll end up spending more money replacing them. It took me 3 broken tripods within a couple of months before I realized this. I recommend reading our article “How to Choose Your Next Tripod” for a more detailed breakdown of how you can find the tripod that suits you the best. Keep in mind, though, that you’ll most likely be using the tripod in some less than ideal conditions (rain, wind, snow, in rivers, at the beach etc.) and a solid tripod will last longer in these conditions. Filters might not be essential for landscape photography but they are a favorite tool amongst most photographers and there are certain popular effects and techniques that you aren’t able to perform without them. Filters come in countless shapes and variations, and there are a large number of brands that are constantly releasing more. 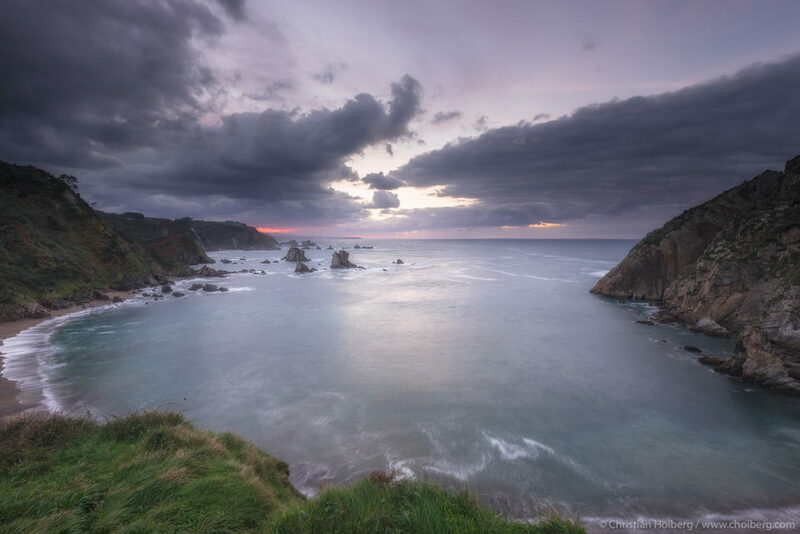 Knowing exactly which filters you want can be a daunting process but I recommend to first get a starter kit that includes a circular polarizer, one or two Neutral Density Filters and a Graduated ND Filter. Neutral Density Filters: ND Filters are a favorite amongst landscape photographers. These filters are darkened glass that you place in front of the camera to achieve longer shutter speeds. Graduated ND Filters: Similar to regular ND Filters, a GND is a darkened glass that you place in front of the lens. However, unlike the ND Filter, a GND is only partly darkened and about half the filter is clear. This lets you darken only parts of the image (such as the sky) to create a well-balanced image. Circular Polarizers: Circular Polarizers are normally used during the daytime to increase contrast in the sky. 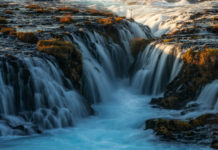 However, they also remove unwanted glare and reflections from wet surfaces and have become the go-to filter for photographing rivers and waterfalls. UV Filters: These filters don’t have any direct impact on the image and are normally used just to protect the lens from scratches and damage. There’s a lot of discussion about whether this is a filter you actually need and fewer photographers consider them as an essential. In all honesty, the only actual essential equipment is your camera and a lens – it’s kind of hard to photograph without one, isn’t it? 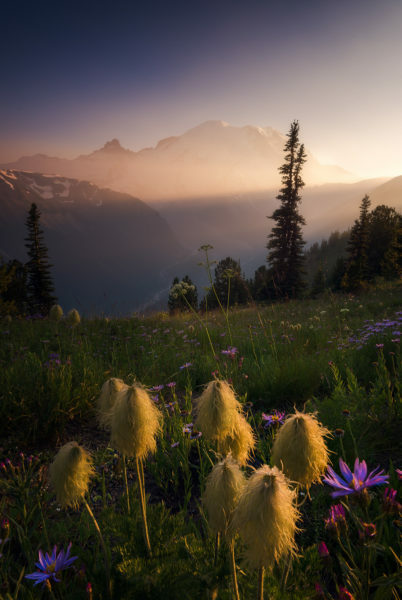 Both tripods and filters are recommended accessories that most landscape photographers wouldn’t be without but you can still capture beautiful images without them (even though you’ll be more restricted in your workflow). Then there are the other accessories. They aren’t directly essential to capture an image but they play important roles. We’re talking about remote shutters, camera backpacks, lens cleaning accessories, rain covers and storage. 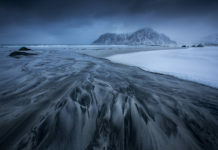 For those that regularly use slow shutter speeds and photograph moving elements such as waves, a remote shutter is going to be one of your most used accessories. These are perfect for capturing the exact moment you want to photograph without causing any camera shake or delays. This doesn’t have to be an expensive tool. In fact, a cheap $20 unnamed shutter will do the job. That being said, more expensive models have more features such as shutter lockup, a timer, time-lapse settings and more. The camera backpack is an accessory we often take for granted. If you just plan to photograph the local area and stay close to the car, it might not be as important but if you’re planning to do more traveling or hiking and wish to bring both camera gear, clothes and other necessities, it becomes an important tool. A solid backpack will help you not only organize your camera gear and easily bring it when traveling, but also take care of your body. Camera backpacks come in all sizes and variations. Some are meant for small shoots and you’ll only be able to fit a camera and a lens, while others are specially made for multi-day hiking and have space for both camera equipment and hiking equipment. Choose wisely as a good backpack is good for your back! This is definitely less exciting than cameras and lenses but don’t forget to purchase a microfiber cloth and some cleaning equipment. 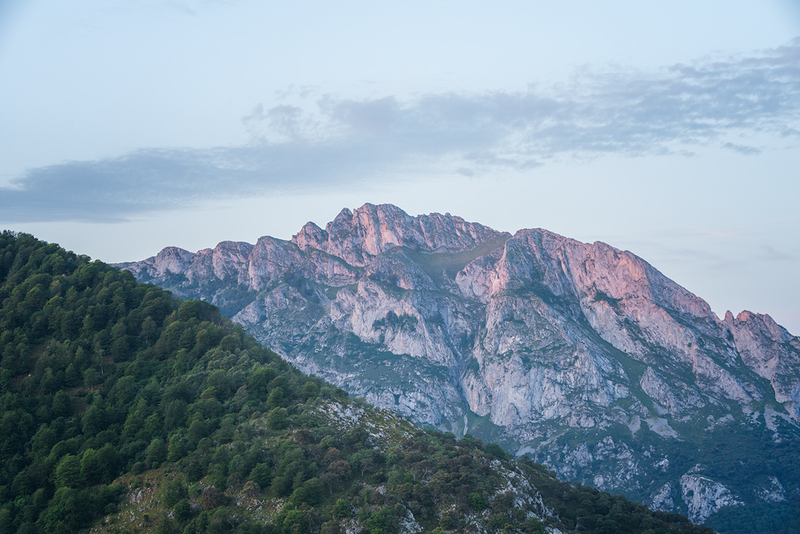 Landscape photography isn’t only about photographing sunny days. The best images often come in less inviting weather and it’s not uncommon that it can involve some heavy rain. Even though top-level cameras are weather resistant and even weather sealed, using a rain cover can be what saves your camera from an unwelcome death. The longer you’ve been photographing, the more storage you need. RAW files (we’ll come back to this in a minute) are large files and it doesn’t take long to fill up a hard drive. Make sure that you’ve got enough storage for your images and remember to make backups! Also, having a good SSD card for your camera is important. You want it to at least hold enough images to last for a short photography trip. If you plan to go on longer trips it might be wise to have multiple cards in case you fill one up before the trip is over. For some, this might be a controversial topic but it really shouldn’t be. If you’re serious about your photography and you want to get the best possible quality of your images – shoot in RAW. A RAW file is an uncompressed file that contains the highest amount of information from your image. Unlike a JPG, the RAW file is not processed and it leaves you with the possibility to process the image layer without losing quality. JPGs are files that already have been processed by the camera; the file size (and stored information) is much smaller. These files aren’t meant to be processed afterward and it’s strongly recommended to avoid shooting in this format. Even if you don’t want to process your images yet I suggest that you shoot both JPG and RAW. One day you’ll want to begin processing your images and by that time you’ll hate yourself for not having the RAW files. Photographs with great drama and colorful light are able to succeed even without a strong composition but in most cases, an inspiring image is defined by its powerful composition. Mastering the art of composition can take years and many even claim that through a lifetime of studying it, there’s still more to learn. It’s often easy to separate experienced photographers and beginners by looking at the composition. The best images don’t come from a point-and-shoot approach but rather a more reflected one. After learning the basic settings of your camera, the next step is to begin working on the compositions. This will take time and it might be frustrating (don’t worry, even experienced photographers struggle with finding a good composition more often than you think). There are several compositional rules and while I think they can be broken, it’s crucial for your growth as an artist to at least have a basic understanding of them. The Rule of Thirds is the most known and most used compositional rule, or guideline as I prefer to view it, for photographers. Simply put; the Rule of Thirds means that your image should be imagined as divided into nine equal parts by two equally spaced horizontal lines and two equally spaced vertical lines. Important parts of the image should be placed along these lines or at the intersection between a horizontal and vertical line. The majority of digital cameras (and even smartphones) allow you to use a Grid View when photographing. The grid is visible either through your viewfinder or on the back of your camera when using Live View. This is the first guideline you should familiarize yourself with and once beginning to apply it to your images you’ll soon see that the images become more compelling and a tad more professional. 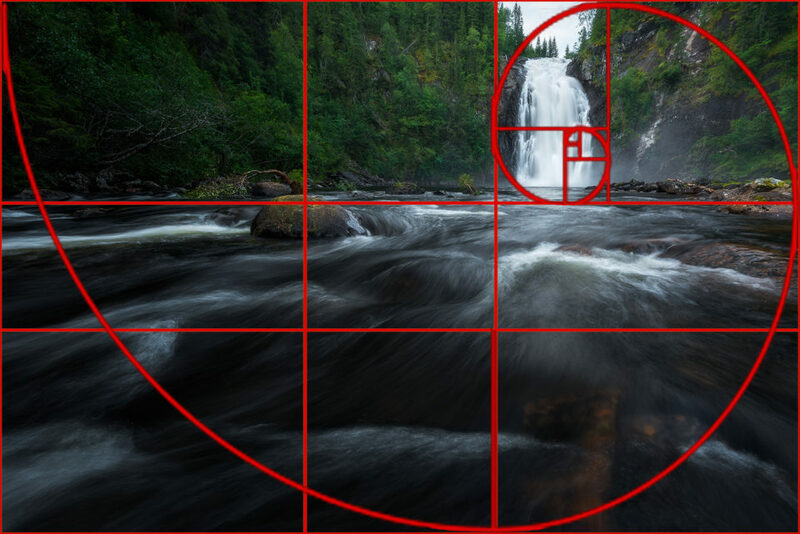 Known as the Rule of Thirds on steroids, the Golden Ratio (also known as Fibonacci’s Ratio, Golden Mean, Phi, or Divine Proportion), is a more advanced compositional technique that’s less talked about amongst photographers – simply because it’s more advanced than the Rule of Thirds and slightly confusing. However, artists have used this guideline since the 1100s and several industry-leading companies (such as Apple) even use it in the making of their products. One of the reasons this guideline has become more popular amongst photographers is that it’s slightly less obvious than the Rule of Thirds. 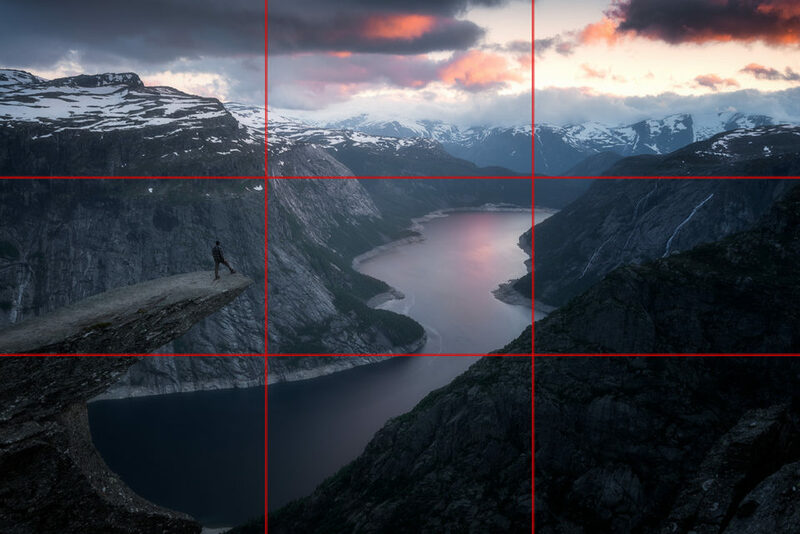 By placing the horizon along the upper part of the Rule of Thirds Grid (1+1+1) it becomes more obvious than when it’s placed along the Phi Grid (1+ .618 +1). While “leading lines” isn’t the name of a specific rule or guideline, it refers to one of the most efficient methods of guiding the viewer’s eyes through an image. The best part of leading lines in landscape photography is that they are available mostly anywhere and compared to the other compositional rules and guidelines, quite easy to understand. Simply put, leading lines in landscape photography refers to the use of lines found in the scene to guide the viewer through your images. 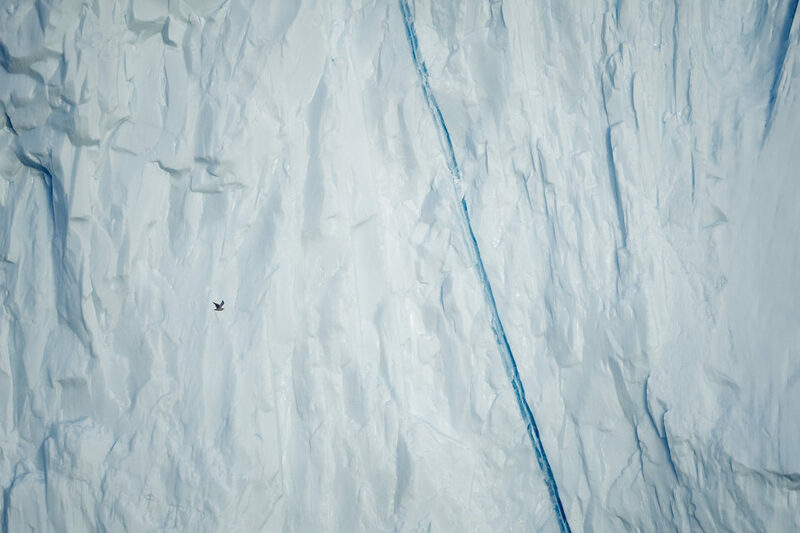 These lines can be found in trees, foreground elements, waves, rivers & creeks or mostly anywhere else in nature. Once you’ve become used to implementing leading lines in your images, you’ll start noticing the existence of these lines more easily. The image above takes use of several leading lines. Most obvious are the road and the lines within it but the light and landscape also create more leading lines that subconsciously guides you through the image. The last and final compositional guideline I’ll talk about in this guide is using different perspectives to enhance the composition. When adjusting the perspective, you’ll be introduced to new compositional opportunities and you’ll quickly notice how only small adjustments can make a big difference in the image. However, just altering the perspective itself isn’t enough. This step requires that you’ve already found a somewhat compelling composition. Adjusting your perspective will only impact the composition you’ve already found and either enhance it or make it less compelling. A simple but effective way to explore perspectives is by disconnecting the camera from the tripod and look through the viewfinder as you slowly bend down until you’re as low as possible. This should give you an idea of at what height you’ll get the best result from your current composition. As I’ve mentioned previously, I prefer not to refer to the above compositional techniques as rules but rather as guidelines. By strictly following rules in photography, you’ll limit both your creativity and your images. Still, they exist for a reason and they have the power to make huge changes to an image, which is why I believe it’s important to understand them and know about them even if you’re planning to break them. By knowing the guidelines, you can make a conscious decision to ignore them and it’s then been your choice as the photographer, not a random act. It’s important to know when following the rules will benefit the image and when it will be improved by breaking them. Going through and making sure that you’ve chosen the right settings is the last part of the checklist above. But what are the right settings for landscape photography? Is there one specific ISO, shutter speed or aperture that you should use for every single image? 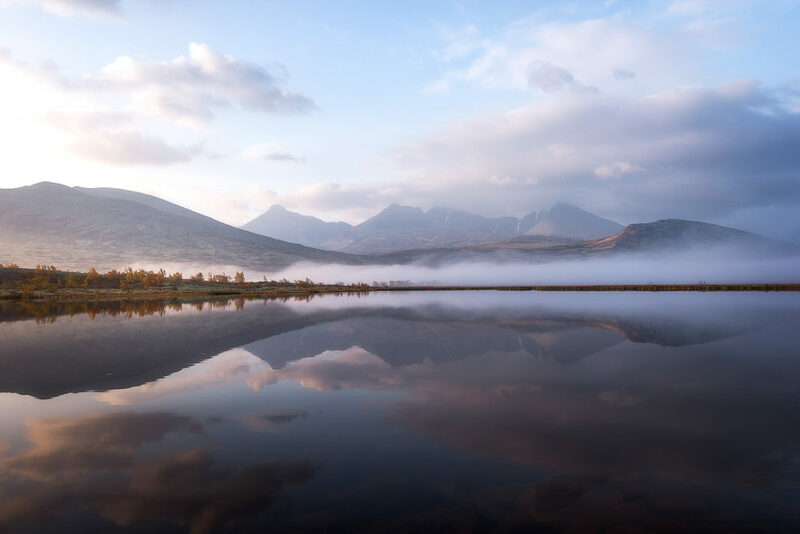 We’ve already touched the subject previously in this article and talked about how the individual settings are connected to each other but let’s look at it again and answer the question many of you are asking: What are the best settings for landscape photography? The shutter speed is the most flexible adjustment of all three fundamentals (given that you’re using a tripod). There’s absolutely no correct choice of shutter speed but you should be aware of how the shutter speed impacts an image. If you’re photographing fast-moving subjects, such as birds, the ideal shutter speed is somewhere around 1/1000th of a second as it completely freezes all motion, leaving you with a crisp and sharp image. Had you used a slower shutter speed, such as 1/160th of a second, the bird would most likely not be frozen and instead you would have blurry parts. When photographing still landscapes, however, the shutter speed will affect the image a little differently. Let’s say you’re photographing a waterfall. The shutter speed used to freeze the bird (1/1000th of a second) will again completely freeze all motion and you’ll have a lot of textures in the falls. By slowing down the shutter speed to 1/50th of a second or even 1 second, you’ll see that the appearance of the image has changed completely. While the surroundings are more or less the same, the waterfall looks different and the overall atmosphere has changed a lot since the water’s movement is being purposely blurred and softened. 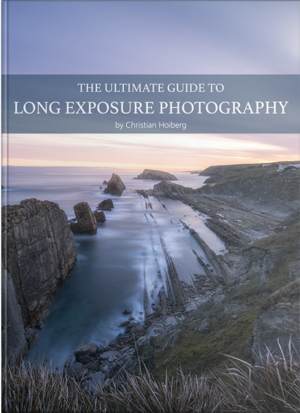 In my eBook The Ultimate Guide to Long Exposure Photography, I explain in-depth how the shutter speed affects an image and show several case studies where you see examples of how a scene changes when adjusting it. While there isn’t a “correct” aperture for photography in general, certain scenes benefit from using a specific one. 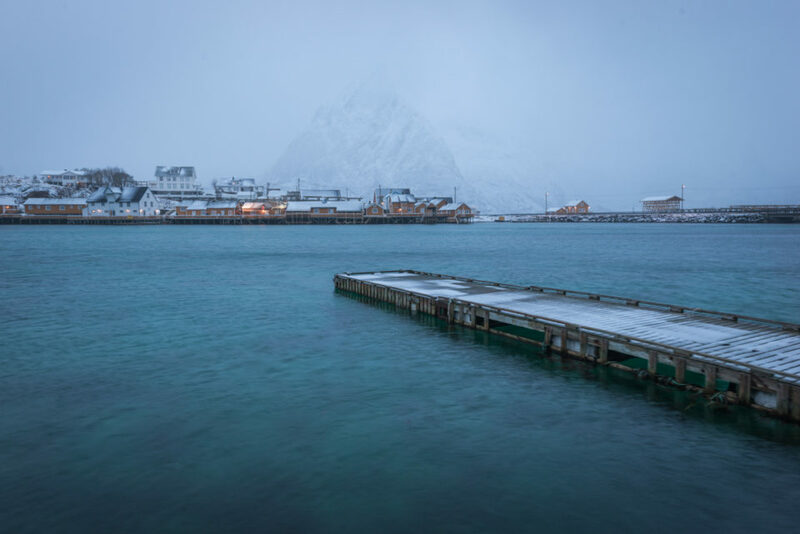 For standard landscape photography (when you’re photographing a regular landscape, not a macro, night sky or other niche subjects), the optimal aperture lays between f/7.1 to f/13. This area is where you’ll get the entire image in focus and as sharp as possible. When photographing macro images, stars, scenes with subjects close to the camera and far away, and even sun stars, the standard f/11 is rarely ideal. These are scenarios where different apertures perform better. For instance, if you wish to capture a sun star, aim at an aperture such as f/22. 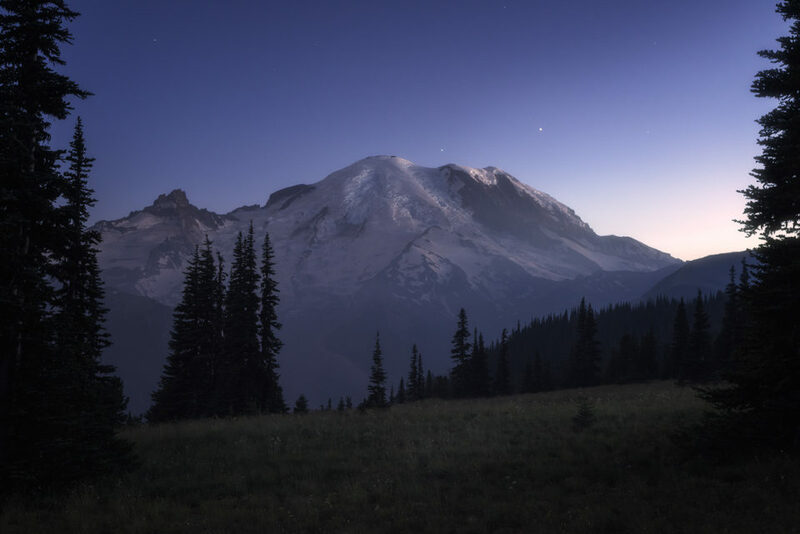 When photographing the night sky, you want an open aperture such as f/2.8 and when photographing a flower you might also want to use an open aperture. Yet again, there’s no ISO that is correct for each and every scenario but, unlike aperture and shutter speed, there’s a much stricter guideline in place here: always use the lowest ISO possible. A high ISO causes extra noise and grain in your images so whenever you can, keep the ISO as low as possible. For most digital cameras this means somewhere between 100 and 200 (although high-end cameras are beginning to introduce even lower base ISOs now). As long as you use a tripod, you’re able to use a slow shutter speed. It’s often better to lengthen the shutter speed than increase the ISO when you need more light. As you might have picked up by now, there’s always an exception in photography. Though the settings I shared above are ideal in many cases, they are far from the only correct choices. Sometimes you need to use a higher ISO in order to use a quicker shutter speed, while other times you have to lengthen the shutter speed and use a more narrow aperture. The settings above are only guidelines and I urge you to go out experimenting with different settings and see what happens to the image when you change one setting. This is, in my opinion, the best and most efficient way to understand the fundamentals. Post-processing has always been a big part of photography. 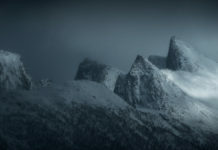 In the early years, it was done in the darkroom and landscape photographers often used Dodging & Burning techniques to enhance the mood of their images. Today, we have the digital darkroom and software such as Adobe Lightroom and Adobe Photoshop make it possible to make big adjustments that can make the original file unrecognizable. Processing is now available for everyone and even those who don’t wish to spend time doing it can quickly do so by using presets or other add-ons that will simplify the process. Do you need to process your images? Despite having advanced processing softwares available, do you actually need to process your images? Is it enough just to upload a file straight out of your camera? The answer is simple: it’s 100% your decision. If you choose to process your images, that’s fine. If you don’t process images, that’s fine! It’s your photography and you’re in charge of your own art. That being said, the majority of professional photographers do make certain adjustments to their images in post-production and it’s often these adjustments that make an image stick out. So, despite it being your creative choice, I do recommend at least making a few corrections to the file – it could be as simple as adding back some contrast and brightness to better represent what you saw. With a large amount of powerful processing software available on the market, both free and paid, finding out where to begin can be a daunting process in itself. Some softwares are easy to use but limited in their performance, while others are so demanding (yet powerful) that they are overwhelming. The two most used programs for processing images are Adobe Lightroom & Photoshop. While several others such as CaptureOne and Picktorial are becoming increasingly more popular, the majority of photographers choose to use Adobe products, partly because of the number of tutorials and available resources and partly because they’re still considered to be the most powerful processing tools for digital imagery. Most photographers involve Adobe Lightroom in their processing workflow. Besides working as a library for your photos, Adobe Lightroom is also one of the most powerful RAW processors on the market. The combination of these two features, as well as the integration with other Adobe softwares and third-party plugins, are a big reason why so many prefer to use it. You’re able to do basic processing with Adobe Lightroom. Since it’s a RAW processor, you’re able to extract and alter the details that are stored in the RAW file without damaging it (this is why you want to shoot RAW rather than JPG). Adobe Lightroom is perfect for basic processing and is relatively easy to learn. In fact, many photographers only use Lightroom and with it, you’ve got the possibility to make your images shine. 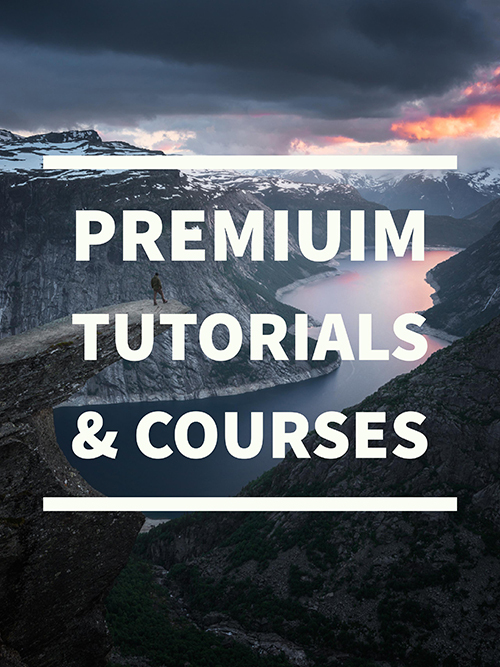 While being more advanced and requiring a greater effort to learn, Adobe Photoshop is the go-to software for local and more demanding adjustments. It’s typically in Photoshop that the major changes are made and where the more “creative” edits come alive. Unlike Lightroom, Photoshop isn’t specifically made for photographers. It’s a large and complex software that’s used both by photographers and other artists. This means that there are many more options and functions, making it more difficult to master. Still, it’s a clear favorite amongst many. The benefit of using a software such as Photoshop is that you’re able to execute more advanced photography techniques such as focus stacking and blending images for dynamic range. Recommended Reading: Photoshop or Lightroom? If you’re just starting to become interested in processing your images, the big question is what software is best for you. Should you get Lightroom, Photoshop, Picktorial, CaptureOne or another editor? Due to the number of available resources, I personally recommend starting with the Adobe products. By signing up for Adobe’s Creative Cloud photographer service, you get access to both Lightroom and Photoshop and are billed on a monthly basis; meaning you can cancel your membership at any time if you choose to work with another software instead. Landscape photography is no different than any other creative pursuit; practice makes the master. Learning and understanding the fundamentals of photography can be challenging and even demotivating for the beginner. While learning the basics should not come at the cost of enjoying photography, it is something you need to do if you aspire to capture better images. It doesn’t matter if your ambitions are to have a hobby that takes you outside or to one day make a living from it – learning the basics is the most important step in sharpening your skills. When you’ve mastered the fundamentals (ISO, Aperture & ISO), first then it’s time to further craft your art by working on the more difficult aspects such as composition and post-processing. 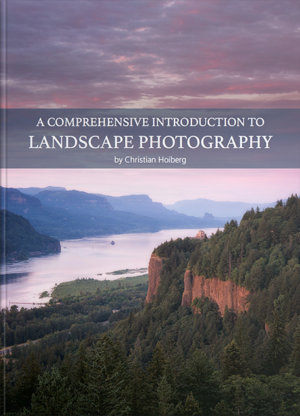 This in-depth guide to landscape photography is a 5000+ words excerpt of our highly anticipated and popular A Comprehensive Introduction to Landscape Photography eBook. 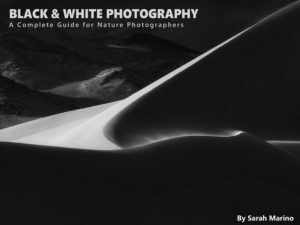 The eBook is perfect for those who are new to photography or those who simply want to take their understandings and skills one step further.